CarGurus has 802 nationwide Altima Coupe listings starting at $2,550. A fast and efficient V6 engine, competent continuously variable transmission, and attractive styling make the 2011 Nissan Altima Coupe a good performance value. An unrefined base engine, a mushy manual, and a too-stiff suspension make choosing a 2011 Altima Coupe that won’t disappoint a fool’s errand. Stiff competition doesn’t make things easy for Nissan's 2011 Altima Coupe, but it also does little to help itself. Its base engine is underpowered and unrefined, the six-speed manual is vague and sloppy, and the sport suspension that comes with the 3.5 SR will rattle the change out of your cupholder. Because of these limitations, there’s no good setup to choose with the Altima Coupe, and your best bet is to wait and see if Nissan is listening. Designed to compete with other midsize, front-wheel-drive, sporty-inspired coupes like the Monte Carlo and the Accord, the Altima Coupe was born as a truncated version of the four-door Altima sedan. U.S.-produced since its birth, the Altima comes straight from the heartland out of Nissan’s Smyrna, Tennessee, and Canton, Mississippi, plants. With the same engines, transmissions, and suspensions as the Altima sedan, the Coupe doesn’t offer much extra performance, but with larger wheels and a shortened wheelbase, it does handle corners a bit better. For 2011, the Altima Coupe gets three new exterior colors - Metallic Slate, Saharan Stone, and Brilliant Silver – and a new Special Edition Package for the 2.5 S trim that adds a leather-wrapped steering wheel with audio controls as well as fog and automatic headlights. Nissan dug into the QR family of engines for the 2.5-liter aluminum inline four-cylinder that powers the Altima Coupe’s 2.5 S trim. It has a DOHC design and variable valve timing that bring on 175 horses at 5,600 rpm. 180 lb-ft of torque join the party earlier, at 3,900 rpm, but it’s still a sluggish engine that struggles to gain speed and lets you know with a harsh roar that fills the cabin. The 3.5-liter VQ engine in the 3.5 SR trim has an aluminum block and heads, DOHC design, and variable valve timing. With 270 hp at 6,000 rpm and 258 lb-ft of torque at 4,400 rpm, it is pleasantly more powerful than the 2.5, both from a stop and at speed. This engine has been voted to Ward’s 10 Best Engines list many times over its lifespan, but some have complained about its loud nature. Still, it’s not as uncouth as the 2.5 and offers an aggressive tone that can be addicting to some. The Coupe offers a six-speed manual or a shiftable continuously variable transmission (CVT) that is clearly the better option. Given the sport aspirations of the Altima, many will be seduced by the traditional manual gearbox, but unfortunately it’s just trash. There’s not a lot of fun to be wrung out of the 2.5, and what little there is gets robbed by the vague, mushy six-speed. Might as well get used to the CVT now, as it’s not going anywhere, and the manual shifting of the CVT can do a bit to alleviate lack of sport. You’ll notice a small pause when accelerating from a stop, but an adjustment of your throttle input helps, and once going the CVT performs beautifully. With the recommended regular-grade gas, the 2.5 returns 23/31 mpg, while the 3.5 manages an impressive 20/27 – a small penalty for such a massive power increase. An abbreviated wheelbase means more agility in the curves for the Altima Coupe, and it's quite sprightly for a front-wheel-drive car. It’s not a sports car, but it’ll handle corners better than your minivan. The same can be said for the steering, which is well-weighted and competent, but falls far from anything that will inspire rally antics. The 3.5 gets a sport suspension that combats additional roll and lean, but does so at the cost of almost all its ride quality. You’d better make sure your coffee has a lid, as just riding along a straight road will induce a spill unless that road was poured… well, yesterday. Especially disconcerting is a noticeable and frightful wheel hop that can be induced under hard acceleration with the 3.5, making the Altima perform like a FWD pickup. It’s worst when accelerating through a turn and can be avoided with some throttle control, but what’s the point? No one wants to spring for the extra horsepower of the 3.5 only to have to hold back. Strangely it seems to show up only with the six-speed, another reason to choose the CVT. Legible, reachable controls make the interior of the Altima Coupe a joy to navigate. Materials found throughout the cabin exceed class averages, although some visual variation would be nice. Front seats require movement fully down and back in order to accommodate anyone over 6 feet, and while this would be an issue in the sedan, as it severely cramps rear seat occupants, the Coupe has rear seats that are largely ornamental, so there’s no big loss. The 3.5 SR trim gets an 8-way power driver’s seat that fails to alleviate space issues but is a nice upgrade regardless, and a tilt and telescoping steering wheel will provide some further options for adjustment. Front, front-side, and curtain-side airbags, antilock four-wheel disc brakes, and stability and traction control are standard features for every Altima, and while NHTSA test results have yet to be released for the 2011 Altima Coupe due to a change in testing procedures, 2010 results show five-star ratings for all but frontal crashes, which earned four stars. 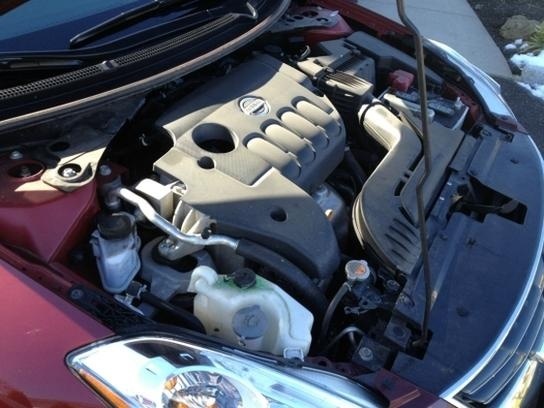 The Altima Coupe's 3.5-liter engine is a winner, providing performance and relative efficiency with a nice level of refinement that has gotten the attention of owners and Ward’s alike. It's a shame there isn’t a serviceable manual transmission, but the CVT offers a useable alternative. Sadly, the sport suspension that comes with the 3.5 SR is good for little other than aggressive driving, and it can even get annoying then. What's your take on the 2011 Nissan Altima Coupe? Users ranked 2011 Nissan Altima Coupe against other cars which they drove/owned. Each ranking was based on 9 categories. Here is the summary of top rankings. 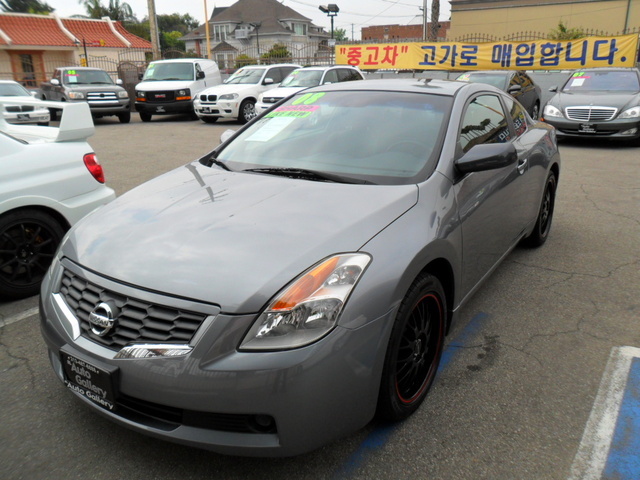 Have you driven a 2011 Nissan Altima Coupe?